I’ve been seeing lots of films at the cinema recently! But amongst the many hits, there can also be some significant misses. Here are brief, paragraph-long reviews on two films I saw recently, which I’d rather not spend any more time on, to be honest; and you shouldn’t either. 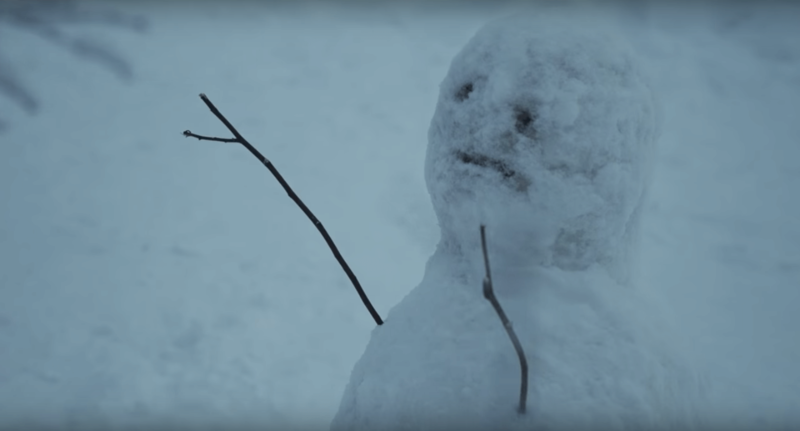 The Snowman was critically panned when it was released, and for good reason. Everyone who loves Scandi-crime fiction novels loves the heck out of Norwegian author Jo Nesbø, who wrote the book on which the film is based. I’ve never read any of Nesbø’s books, but people have described them to me as thrilling, exciting, surprising and enthralling. This film is the opposite. With a script and story that just drags and drags, coupled with boring direction and a performance from Michael Fassbender looking as if he’d downed five Xanax prior to filming, this one is a snooze-fest. There weren’t even any interesting pictures of Fassbender’s beautiful visage I could find on the internet from the film, so I had to put that stupid snowman up above. As a result of the dragging and neglectful script, the film can’t conjure up any reason for its audience to care for the characters when something bad happens to them, and what’s worse, the plot twist is completely predictable. Apparently, this is because approximately 10-15% of the script was not filmed, and director Tomas Alfredson figured out whilst editing that they didn’t have enough footage to work with. Which is just poor production management, really. No excuse! This one is lame – avoid. Is it worth paying for a ticket? : No! I must clarify: it’s not that I hated Justice League or didn’t think it was fun whilst watching it (it was kind of fun), it’s that upon reflection, the film is somewhat mediocre. Particularly when reflecting on how awesome Wonder Woman (2017) was and how much I loved that one, this was just a poor follow up. And part of the problem lies in fan favourites Batman (Ben Affleck) and Superman (Henry Cavill). When there’s anything to do with them on screen, it’s just kind of boring. Not to mention, the CGI is largely awful and the villain, Steppenwolf (voiced by the fantastic Ciarán Hinds of Rome and Game of Thrones fame), is a tad impotent. As a result of these elements, and a bit of a sluggish script by Joss Whedon and Chris Terrio, the overall quality of the film is brought down drastically. 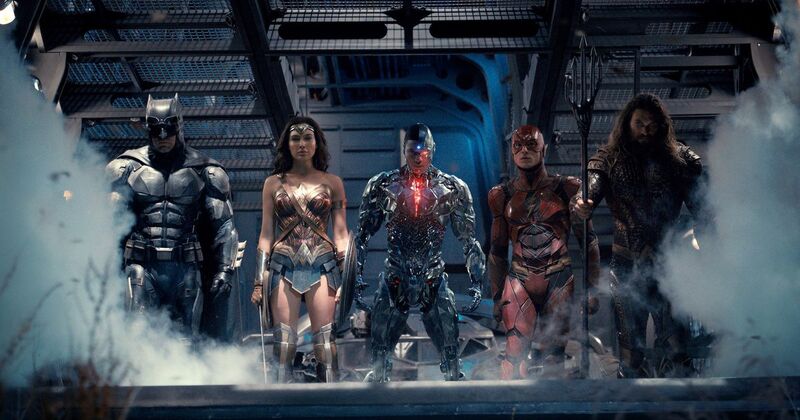 However – all of our fun new friends, such as Aquaman (the heavenly Jason Momoa), the Flash (Ezra Miller), and Cyborg (Ray Fisher), are pretty excellent and fun to watch. It’s just a shame that they were shunted to a secondary role, even though they were more interesting. Gal Gadot as Wonder Woman is flawless, as always. But do you know who is the absolute best in this film? Ezra Miller as the Flash. He breathes life and energy into every scene he’s in, and is possibly a bit of a scene stealer. Anyway, spoiler alert, there’s definitely going to be more films in the Justice League universe. So fingers crossed the next one will be better. Is it worth paying for a ticket? : Perhaps wait for the DVD. The Snowman didn’t look that interesting judging by the trailer. I am not sure if you have seen it but you should try the thriller Headhunters. It’s also based on a Jo Nesbo novel but funny, gripping, and a quick watch. I loved Headhunters when I saw it years ago! Have always meant to give it a rewatch! “The Snowman” book is terrific, as are all of the Harry Hole novels…too bad they bother it. Genki Jason is right – Nesbo’s novel Headhunters was turned into a terrific film as well! Yeah, everyone raves about those Jo Nesbo novels! Such a shame this was such a poor adaptation, especially given the talent involved. Such a waste. Completely agree – material is really compelling so dont see how they could mess it up but apparently they did! Ezra miller was very likeable and i hope his part develops in future movies. On a whole, I thought the new additions to the team (Flash, Aquaman, and Cyborg) were so underdeveloped that it was hard to judge any of their performances. They were the weakest link of the movie for me. Yeah, Ezra Miller was a definite highlight. I wish they had been developed more as well. Maybe in the inevitable follow-up!